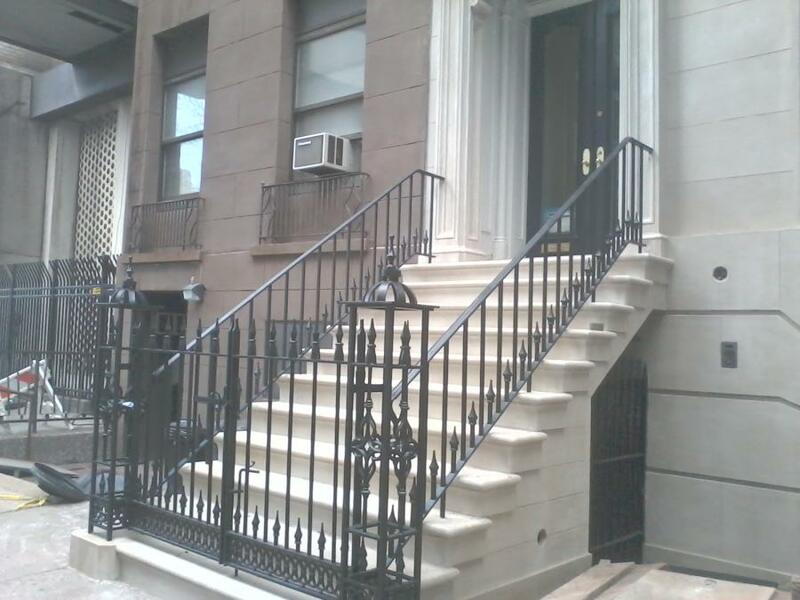 Ornamental iron railing and double gate on brownstone stoop. Petrillo Ironworks of Brooklyn, NY employed a thoughtful and collaborative approach to this ornamental iron railing and double gate project. The client wanted an historic look and feel, which the fabricator achieved by using very little welding on the project, bolted mostly, and mostly hidden. It’s the little details that can spoil the impression of a project like this, a shortcut taken that renders the whole result implausible. None of those mistakes were made here. This entry was posted in Architectural Conservation and tagged Cast Iron, Metal Fabrication. Bookmark the permalink.